This is how to fit power steering to a diesel cf2, transit rack shortened 1.5" each side and re-threaded from M16 to 5/8"unf fitted original track rod ends.Original steering control shaft shortened about 2" and lower end bored to fit transit shaft. 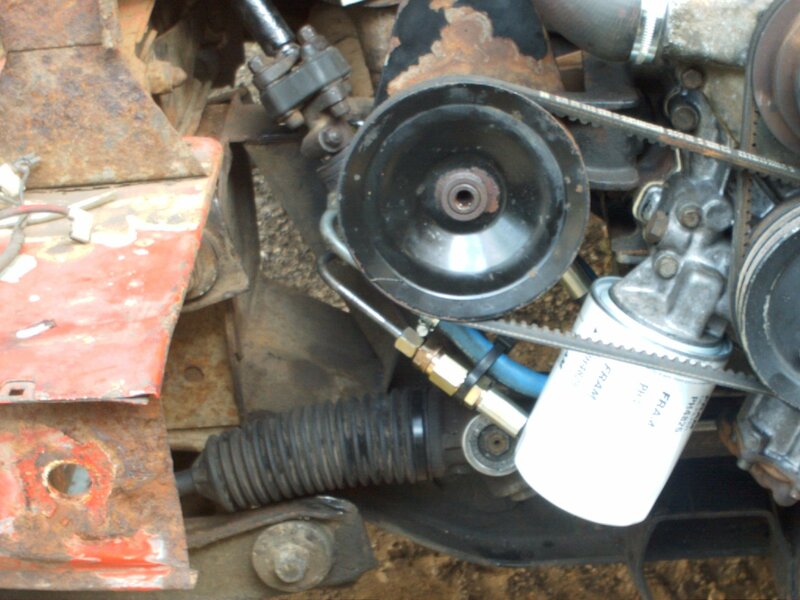 Power steering pump and brackets from petrol or diesel carlton, senator with opel derived engines bolt right on, same with double pulleys, except fuel injected models require minor lathe work to remove mag pick-up flange.simple 6" hydraulic hose from factors to join pump to rack. 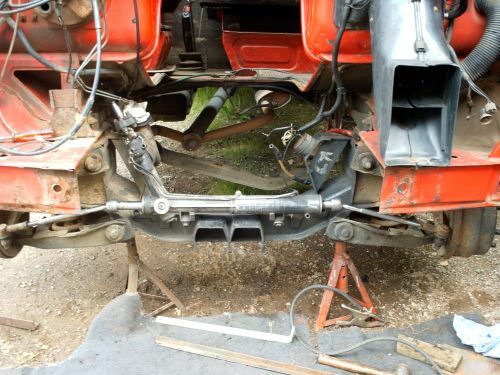 rack is fitted to sub frame via 2.5x3" plates welded to frame and bolted through original ford mounts. this is done with engine removed, though bolt on brackets could be fabricated. the rack must be fitted in exactly the same position as original, or "bump steer" will result because of steering geometry conflicts Safety considerations in quality of work should be obvious.see attached photos. hope this is of some interest.